Product Details - Material- Non abrasive material for the most persistent of the chewers, Use - Gently massages the gums and keeps tartar away, Non toxis and durable, Dimensions - 12cm, Flavoured-Mint , Suitable- All Medium Breeds Dogs. Product Information - This is a fun toy for all your medium breed dogs. It comes attached with a mint flavored ball along with rope toys on both sides. The mint flavor ensures fresh breath at all times. This is an interactive toy that helps you to indulge in a game of tug of war with your pet. It will ensure optimal level of oral hygiene as well.The Fresh Ball n Bone toy is an innovative mixture of rope and ball together in one product. The rope part of the toy provides your medium breed dog the much needed mental stimulation along with oral hygiene. The rope helps to floss your pet?s teeth and prevent the formation of plaque. 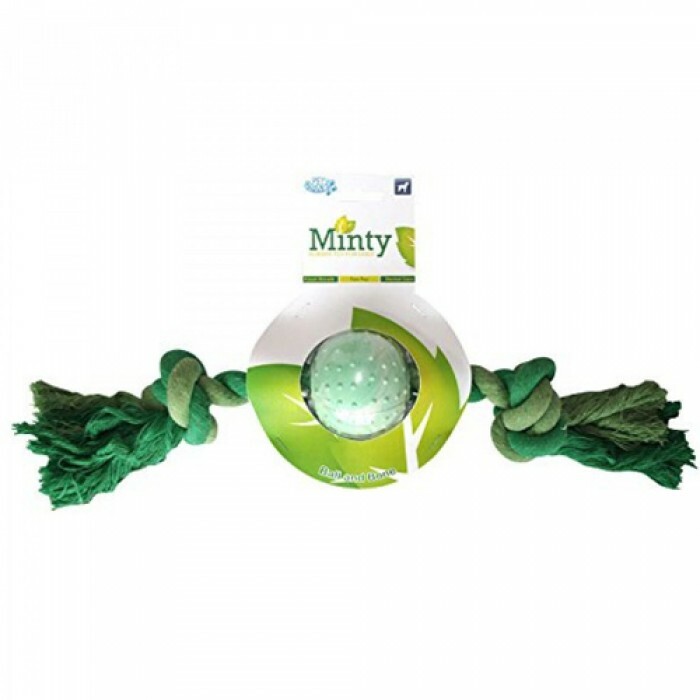 The mint flavored ball in no time will become a favorite with most of the dogs easily. This is an interactive toy which lets you participate in games with your pets.